This PDF download is for a pattern in my 'big lace' series. I love lace knitting and how you can push the boundaries and change expectations, one of which is you have to use fine yarn...no you don't! This is a lace knit pattern using DK yarn but will also work in worsted and aran weight. 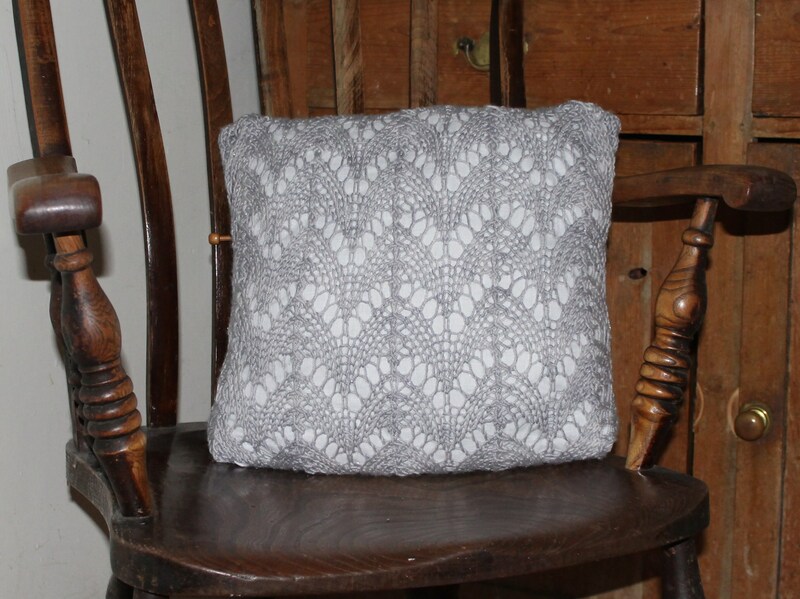 It knits quickly into an envelop style cushion cover with great texture and pattern. 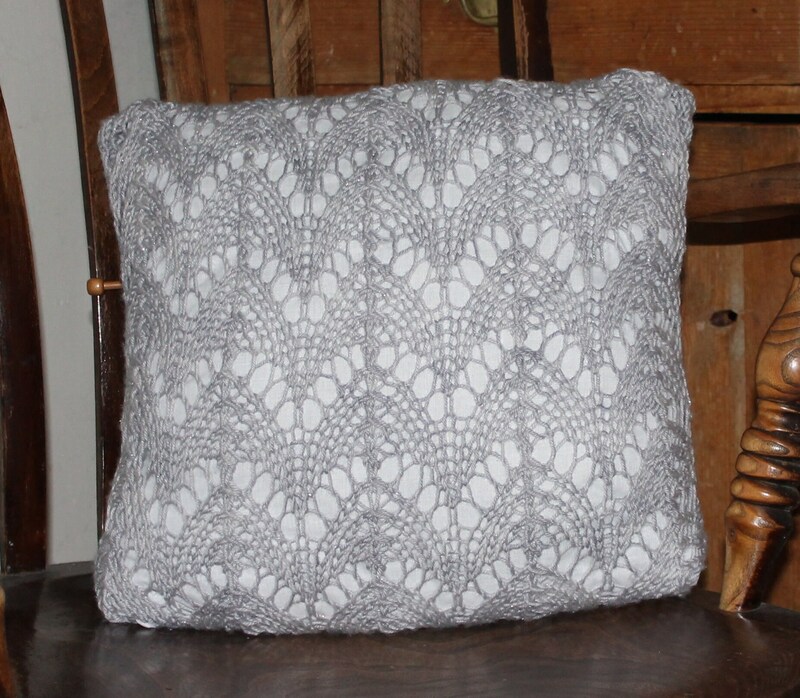 A quick and easy introduction to lace knitting without the super scary cobweb yarn...that can be your next project. You will require 1 x 100g/212m DK yarn ( yarn in the photo is an hand dyed extra fine merino, silk and sparkle mix available from The Lace Knittery). 1 pair of 5.5mm knitting needles. 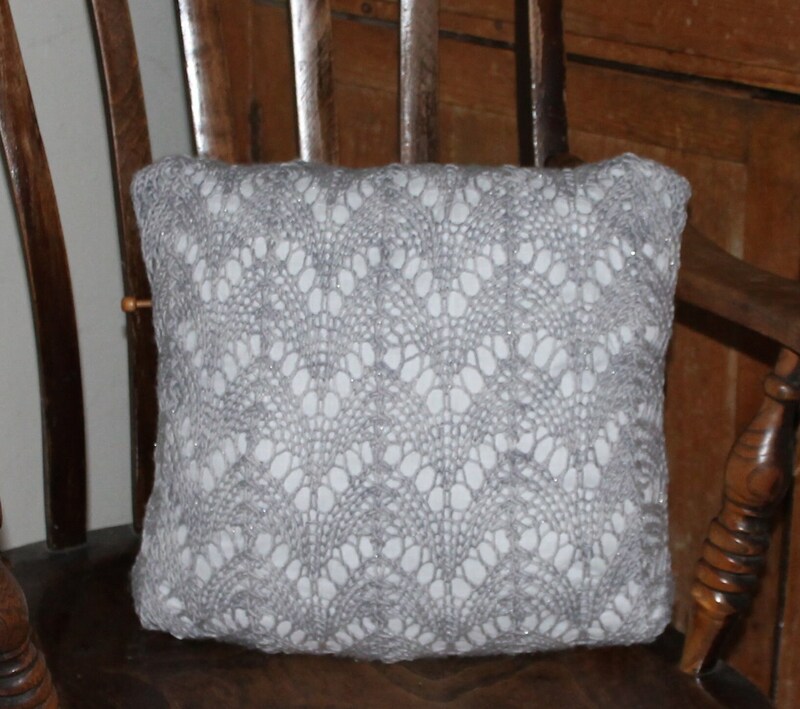 Will fit a cushion pad up to 40cmx 40cm.